FISH OR TOUR THE FLORIDA KEYS TODAY! We can catch...or just go for a boat ride...book any charter of your choice today! 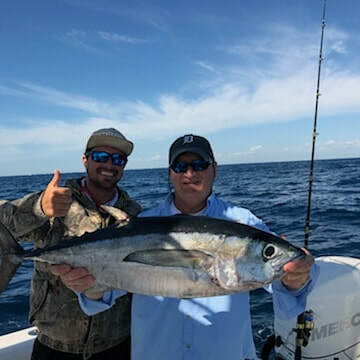 One of the most reasonably priced charters in the Keys, but we spare no expense to ensure our customers have a great catch! You will make many memories and go home with a great catch when you fish on "Just One More". This 31' center console Sea Vee is a very safe boat with twin 300hp Mercury Verado engines. We use premium tackle that will accommodate any type of fishing. ​Conan is an experienced fisherman that will ensure you have a trip of a lifetime. Whether you are an experienced angler or amateur, he will be sure to accommodate your groups skill level. He is great with all ages. Captain Conan knows how to capture many different types of fish species.